Hey everyone, and happy 2019! 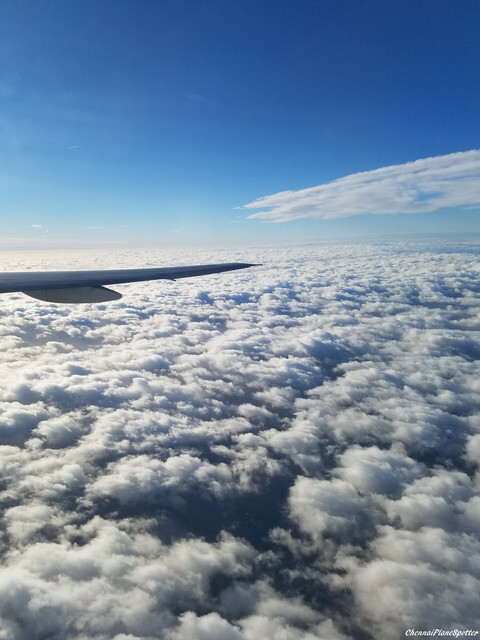 Here is the report of my trip a couple of weeks ago from Austin to London-Heathrow via Dallas-Fort Worth on American Airlines and British Airways. This was a part of my trip back home to India for winter break. I checked in with American Airlines just about 4 hours before departure. 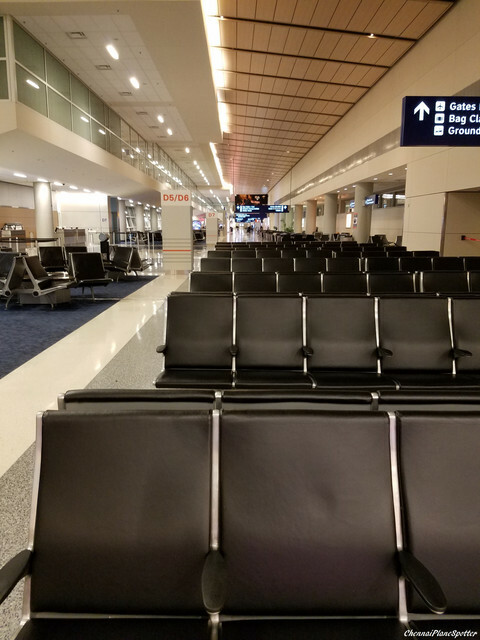 My final destination was Chennai, India (AUS-DFW-LHR-MAA) and I was able to get all 3 of my boarding passes at Austin as well as check my bag through. Unfortunately the lady at check-in wasn't able to assign me seats for the BA segments and told me to do so at Dallas. 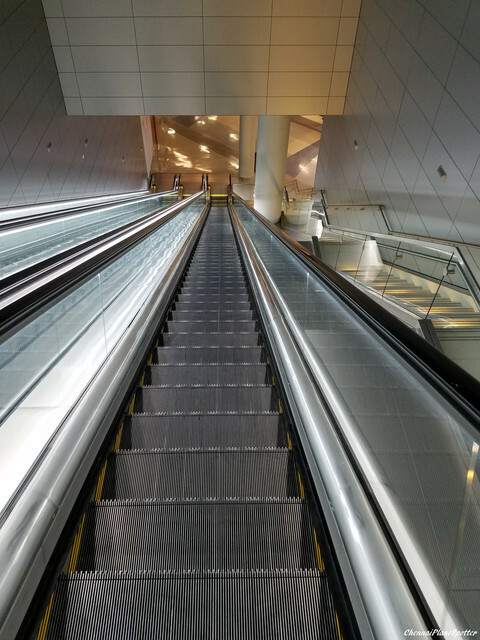 It took me about 20 minutes to clear security, which I had anticipated since it was the Friday before Christmas and the terminal was much more crowded than usual even at 3 in the afternoon. Fast forward 3 hours. Boarding was from gate 30 and about 10 minutes late, due to the late arrival of the inbound aircraft (from DFW with the same flight number as mine). 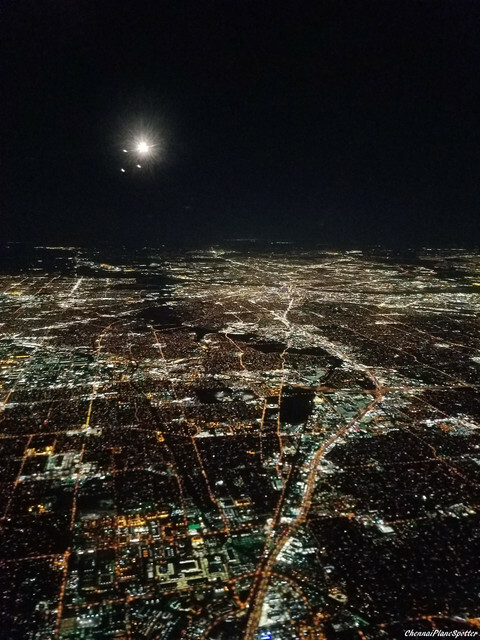 That being said, the aircraft was turned around pretty quickly and we were in the plane within half an hour of its arrival at the gate. Every seat onboard was taken. We began our taxi on time and taxied towards runway 35L. However, we pulled off the taxiway onto the apron in front of the South Terminal where the captain said that ATC had told us to hold there, without offering any further information. We waited for about 25 minutes while a few aircraft rather frustratingly passed us on the taxiway towards the runway. Finally we resumed taxiing at nearly 7 PM and took of soon after. 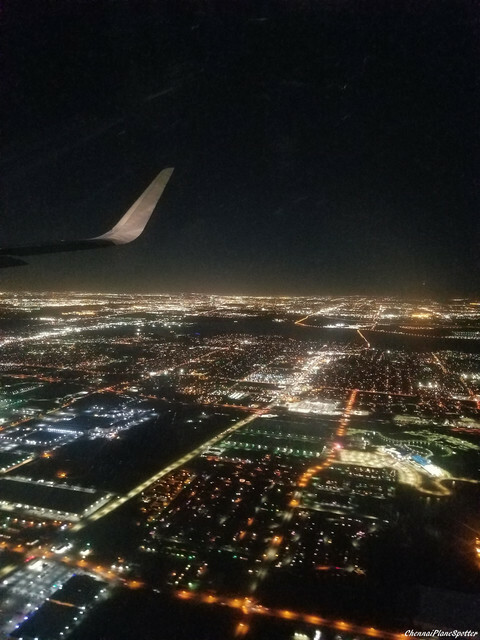 The flight was nothing special and pretty soon we were on approach to DFW. 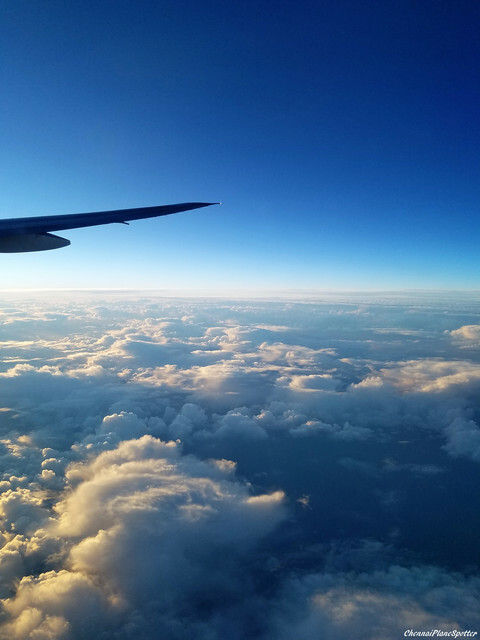 One thing that surprised me was the lack of service of any sort on this flight - on the same flight a few months prior, I was offered a choice of water or orange juice, while nothing was done here, and it was not due to rough weather or anything. We had a quick taxi upon arrival, and I was impressed by a line of 4 AA Dreamliners taxiing out for departure. 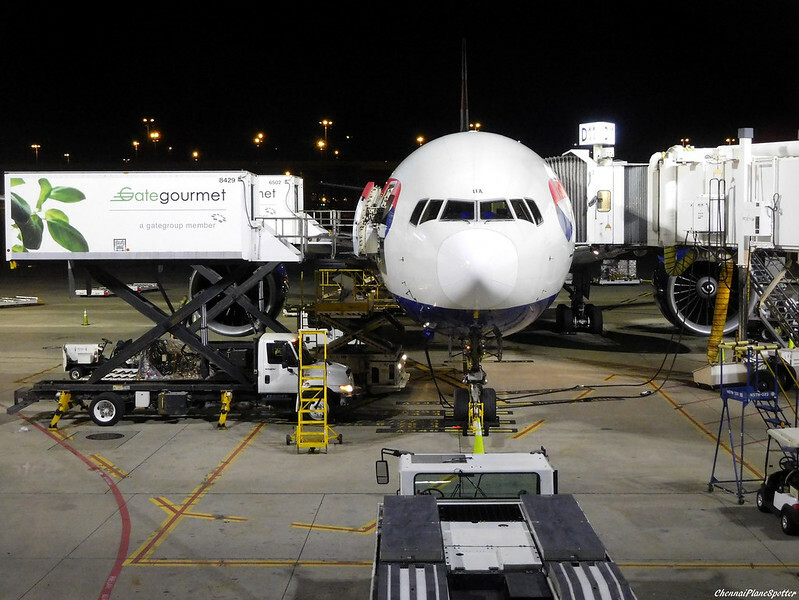 Another thing which I found interesting was the 6 baggage carts that congregated around the aircraft's baggage compartment at the gate - possibly connections to each of the concourses. 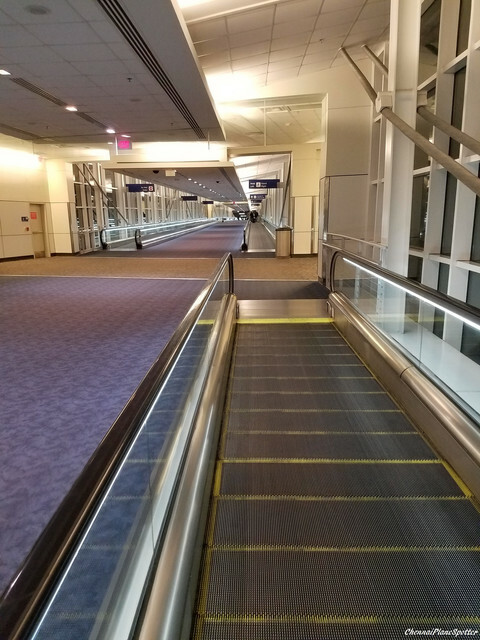 My BA flight was departing from the D gates, so I needed to take the Skylink there, but not before using the Skybridge too. 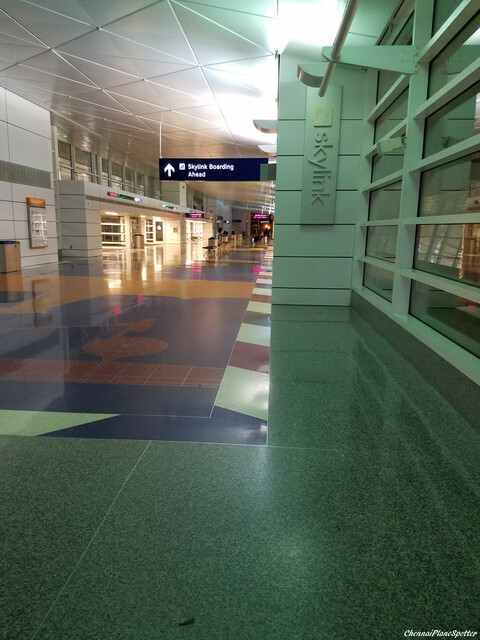 Two stops later, I was in the D concourse, gates 1-22. 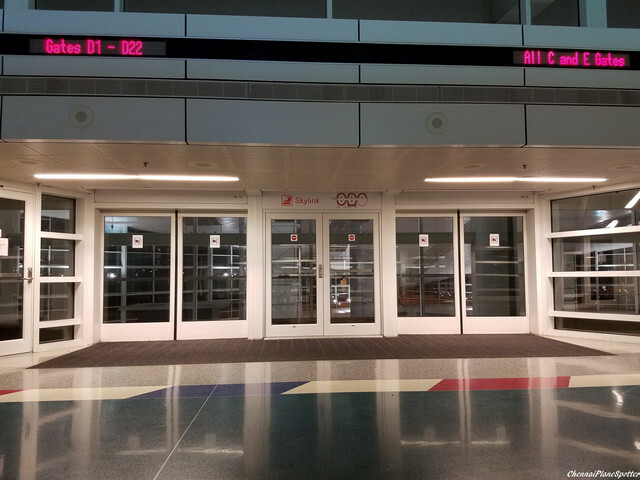 The terminal was absolutely empty, and I mean deserted, as our flight was literally the only departure at that hour. The aircraft for the day was G-VIIA, a 22 year old B777-200ER. I decided to get my camera out to photograph this beauty. I completed the mandatory document check for American Airlines connecting passengers as soon as I reached the gate, and luckily I did so because just a few minutes later, that line had grown to a few dozen people. 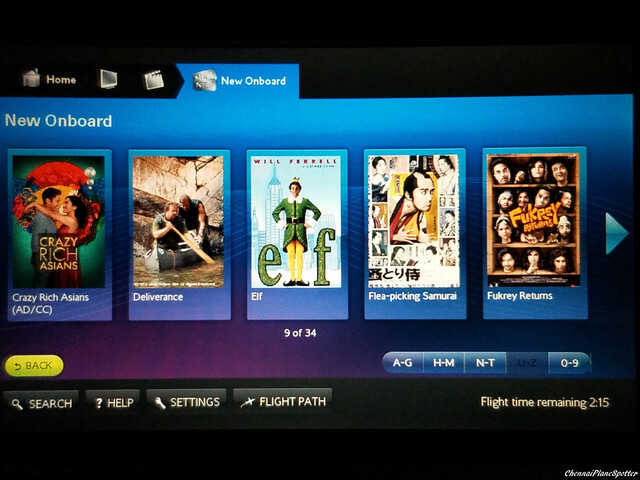 It is quite obvious that connections fuel this flight. Also interesting was the fact that a significant percentage of passengers appeared to be Indians, including yours truly. Boarding from gate D11 was slightly chaotic, as staff wouldn't let passengers board without having cabin baggage tags on their carryon personal items, but wrapped up quickly enough. The flight was 100% full. I forget which runway we used, but the taxi was about 10 minutes long and the safety video (Director's Cut II) played during that time. We were second in line for departure. Shortly after takeoff, a drinks round was conducted. 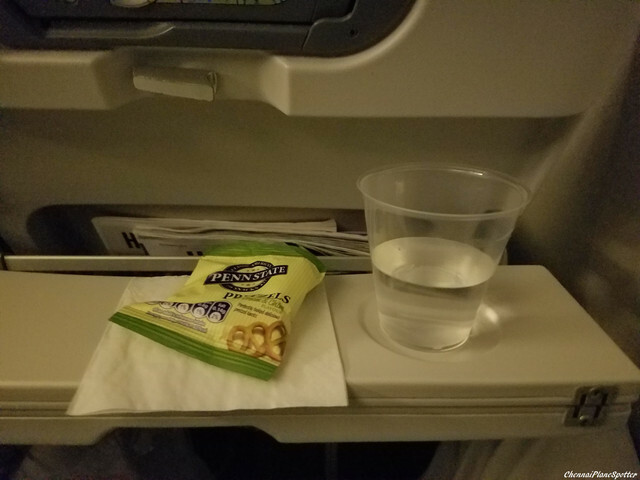 I had a water, served with a packet of mini pretzels. The dinner choices were pasta or Indian chicken curry. 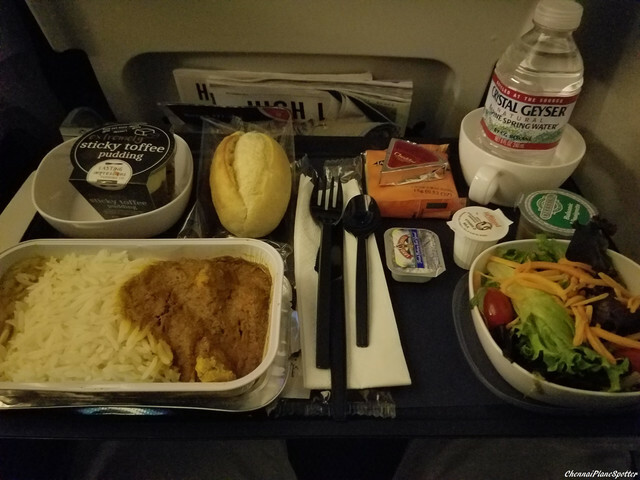 I had the latter; it came with a side salad, cheese and crackers, bread roll and butter, sticky toffee pudding, and a bottle of water. Pretty good overall. 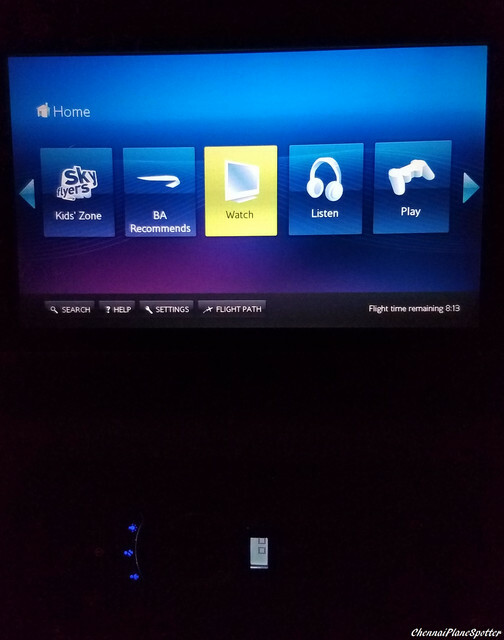 This aircraft had the updated IFE system, and I spent some time going through its contents. I went to sleep sometime later until about 2.5 hours before landing. I decided to watch "Crazy Rich Asians" at that time. 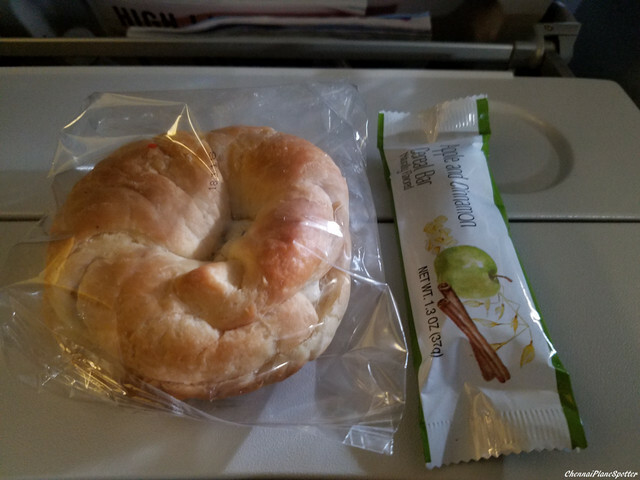 About an hour before landing, the BA's infamous breakfast was served - a cream cheese croissant and/or a cereal bar. Luckily we were allowed to have both. 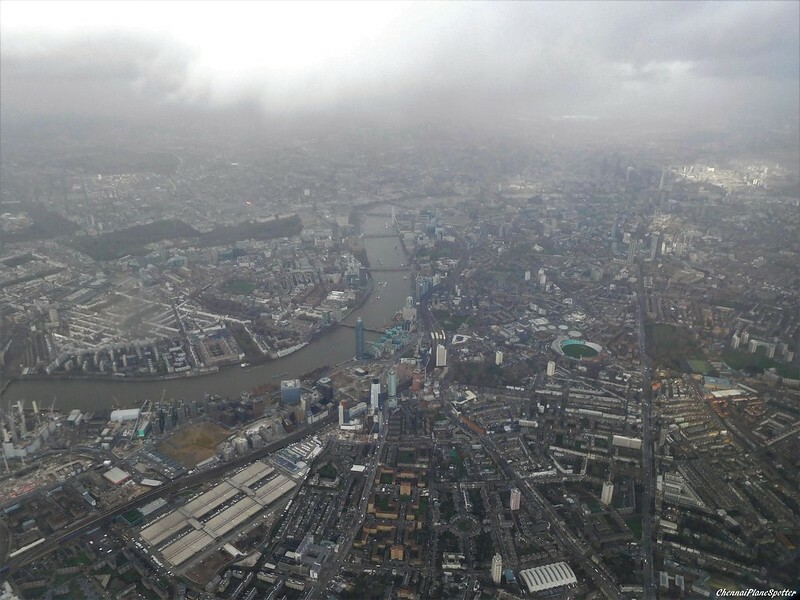 As we descended towards London, the pilot announced that there was low visibility and the arrivals rate at LHR had been decreased, so we had to hold. We ended up circling for nearly 45 minutes, while waiting for a landing slot. Finally we were given permission to land, and about half an hour late, landed on runway 27L. 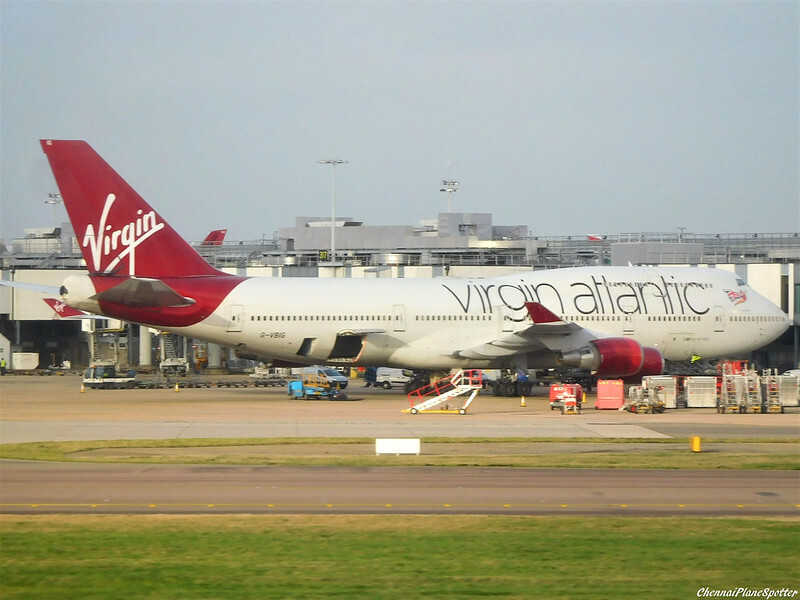 I spotted a VS B747, quite rare at LHR these days. We docked at T5 C 30 minutes behind schedule, and had to wait for another 15 minutes while the jet bridge was brought into position. Unfortunately this delay was enough for me to miss my connection, and as I reached the arrivals area, it was clear that dozens of flights were delayed, stranding hundreds of passengers at Heathrow. The rebooking staff had their hands full indeed. Thank you for reading, and do check out my Flickr stream. See ya! Nice report, how did you get to MAA in the end? The breakfast on Virgin is vile. An Aussie bar. Yuk. I personally would prefer a blueberry muffin or plain croissant. Pretty rich a cream cheese croissant. Once BA served a bacon croissant which was disgusting. Thanks! Via DEL, about 14 hours later, on BA and AI. Though not the most ideal option, it was the best one so close to Christmas.